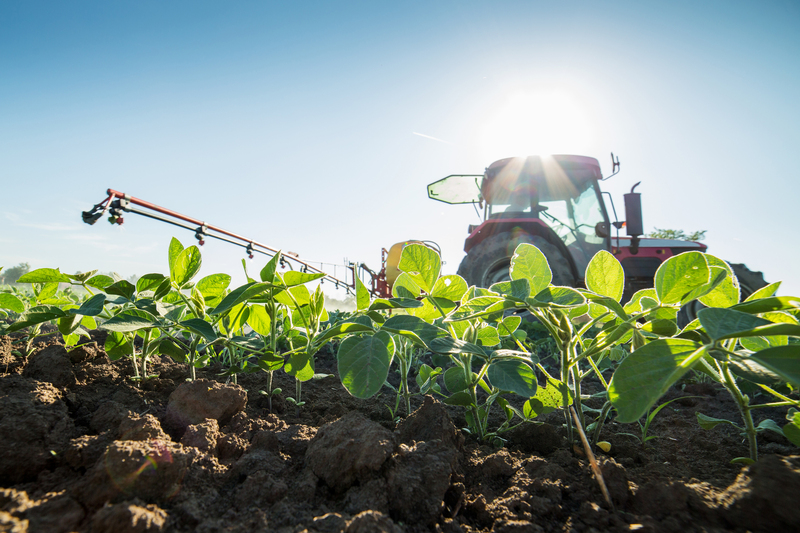 BISMARCK, N.D – Dicamba training sessions have been scheduled by BASF, Monsanto and DuPont in various locations around North Dakota. In October, the Environmental Protection Agency (EPA) released their new label language classifying the new formulations as restricted-use products, meaning that they may only be applied by a certified pesticide applicator or under the direct supervision of a certified applicator. The training sessions will meet the requirements of the state and attendees will be issued a certificate of completion. Applicators only need to attend one registrant training to be able to apply any of the three products. The products are XtendiMax by Monsanto; Engenia by BASF; and FeXapan by DuPont. FeXapan by DuPont is still in the registration process but DuPont is working on setting up training sessions to start as soon as approval is granted. Jan. 17 Monsanto Public Training Dakota Magic Casino Hankinson 10 – 11:30 a.m. Go to www.roundupreadyxtend.com and select “Training & Stewardship” from the menu. Jan. 17 Monsanto Public Training Dakota Magic Casino Hankinson 1:30 – 3:30 p.m. Go to www.roundupreadyxtend.com and select “Training & Stewardship” from the menu. Jan. 18 Monsanto Public Training Alerus Center Grand Forks 10 – 11:30 a.m. Go to www.roundupreadyxtend.com and select “Training & Stewardship” from the menu. Jan. 18 Monsanto Public Training Alerus Center Grand Forks 1:30 – 3:30 p.m. Go to www.roundupreadyxtend.com and select “Training & Stewardship” from the menu. Jan. 20 DuPont Public Training Civic Center Jamestown 8 – 10 a.m. Contact Bridgette Readel at bmreadel@dow.com or 1-701-799-4906. Jan. 24 BASF Public Training North Dakota State Fair Center Minot 8 – 10 a.m. No pre-registration required. Jan. 25 BASF Public Training North Dakota State Fair Center Minot 8 – 10 a.m. No pre-registration required. Jan. 26 BASF Public Training North Dakota State Fair Center Minot 1 – 3 p.m. No pre-registration required. Jan. 26 Monsanto Public Training NDSU Langdon Research Extension Center Langdon 3 – 4:30 p.m. Go to www.roundupreadyxtend.com and select “Training & Stewardship” from the menu. Feb. 1 Monsanto Public Training Alerus Center Grand Forks 10 – 11:30 a.m. Go to www.roundupreadyxtend.com and select “Training & Stewardship” from the menu. Feb. 1 Monsanto Public Training Alerus Center Grand Forks 1:30 – 3 p.m. Go to www.roundupreadyxtend.com and select “Training & Stewardship” from the menu. Feb. 1 Monsanto Public Training Ramkota Hotel and Conference Center Bismarck 10 – 11:30 a.m. Go to www.roundupreadyxtend.com and select “Training & Stewardship” from the menu. Feb. 1 Monsanto Public Training Ramkota Hotel and Conference Center Bismarck 1:30 – 3 p.m. Go to www.roundupreadyxtend.com and select “Training & Stewardship” from the menu. Feb. 13 BASF Public Training Fargodome Fargo 4:15 – 6:15 p.m. No pre-registration required. Feb. 13 Monsanto Public Training Ramsey County Courthouse, Basement Meeting Room Devils Lake 10 – 11:30 a.m. Go to www.roundupreadyxtend.com and select “Training & Stewardship” from the menu. Feb. 13 Monsanto Public Training Ramsey County Courthouse, Basement Meeting Room Devils Lake 1:30 – 3 p.m. Go to www.roundupreadyxtend.com and select “Training & Stewardship” from the menu. Feb. 14 BASF Public Training Civic Center, Exchequer Room Jamestown 9 – 11 a.m. No pre-registration required. Feb. 14 BASF Public Training Civic Center, Exchequer Room Jamestown 1 – 3 p.m. No pre-registration required. Feb. 14 Monsanto Public Training Mountrail County South Complex Stanley 10 – 11:30 a.m. Go to www.roundupreadyxtend.com and select “Training & Stewardship” from the menu. Feb. 15 BASF Public Training Alerus Center Grand Forks 1 – 3 p.m. No pre-registration required. Feb. 15 BASF Public Training Bismarck State College, NECE 304 Basin Electric Auditorium Bismarck 11 a.m. – 1 p.m. No pre-registration required. Feb. 15 BASF Public Training Bismarck State College, NECE 304 Basin Electric Auditorium Bismarck 3 – 5 p.m. No pre-registration required. Feb. 15 Monsanto Public Training Hakuna Matata Edgeley 10 – 11:30 a.m. Go to www.roundupreadyxtend.com and select “Training & Stewardship” from the menu. Feb. 20 BASF Public Training Spirit Lake Casino and Resort, Walking Eagle Room St. Michael 9 – 11 a.m. No pre-registration required. Feb. 20 BASF Public Training Spirit Lake Casino and Resort, Walking Eagle Room St. Michael 1 – 3 p.m. No pre-registration required. Feb. 21 Monsanto Public Training Chieftain Conference Center Carrington 10 – 11:30 a.m. Go to www.roundupreadyxtend.com and select “Training & Stewardship” from the menu. Feb. 21 Monsanto Public Training Chieftain Conference Center Carrington 1:30 – 3 p.m. Go to www.roundupreadyxtend.com and select “Training & Stewardship” from the menu. More training sessions are likely to be scheduled. All sessions will be posted here as soon as they are received. To register for a Monsanto training session, please go to www.roundupreadyxtend.com and select “Training & Stewardship” from the menu. To register for a DuPont training session, please contact Bridgette Readel at bmreadel@dow.com or 1-701-799-4906. No pre-registration is required for a BASF training session. For more information about the training requirements, please contact Eric Delzer, North Dakota Department of Agriculture Fertilizer Program Manager at 701-328-1508.